Peak bus, rail, and cycling interests today urged the Productivity Commission to report on a range of social costs to help decision makers implement nationwide transport options. 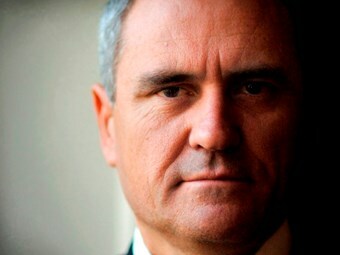 The heads of four leading transport-related advocacy groups wrote to Treasury Secretary Ken Henry yesterday, requesting his commitment to initiating a report which reveals the true cost of ‘externalities’ affecting the planning, uptake and funding of public transport. The letter to Henry says "a key barrier to addressing the costs of transport externalities is the lack of credible analysis of the social costs and benefits of different modes of transportation within the Australian context." Henry’s letter was sent by the heads of the Australasian Railway Association (ARA), Bus Industry Confederation (BIC), Cycling Promotion Fund (CPF) and International Association of Public Transport (UITP). The ‘externalities’ the group want costed include urban congestion, road accidents, environmental degradation, climate change and energy security associated with Australia’s current transport use. "An important first step in achieving a truly sustainable transport system is gauging the true cost of transport options including its impact on amenity, congestion, individual well being and sustainability," says a group statement released today. "A comprehensive report on the social costs of transport options will aid decision makers in choosing and implementing the right transport options for Australia." BIC Executive Director Michael Apps says the group is calling on all political parties to make a commitment to account for and address the social costs associated with Australia’s current transport system. "That is why we are urging that the Productivity Commission report on the social costs and benefits of transport options for Australia." ARA CEO Brian Nye says he is concerned decision makers and Government agencies, such as the National Transport Commission, have made decisions on Australia’s future transport system without taking these social costs into account. "The heavy congestion and lack of public infrastructure in Sydney’s west is a prime example of this short-sightedness," Nye says. The group says transport decisions have been shaped by short-term budgetary concerns and ad-hoc planning with little regard to putting in place a reliable, safe and sustainable transport system for Australia’s future.